Do you need Climate Controlled Storage Facilities? Heat, especially the dry desert heat of Abu Dhabi can wreak havoc on stored items. Experts claim that the dry heat is not good for a lot of items. 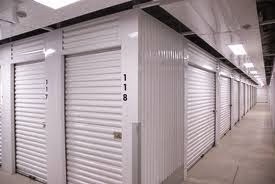 Climate controlled self-storage maintains the temperature of the vault at a safe temperature. Think of it as a 24/7 spa for your delicate items. Several storage providers who do not offer climate-controlled vaults will tell you that there is no need for it. The truth is that while temperature-controlled vaults are not needed for certain items, most delicate items would crack or spoil unless they are kept under temperature controlled conditions. At Storage in Abu Dhabi we offer temperature controlled self-storage units. When you bring your items to us, we will let you know which items require to be stored in temperature controlled units and which don’t. For items that sentimental or historical value, spending the little bit of extra money on temperature-controlled units is an investment that helps preserve them for longer. Also note, that if you are storing the items for only a month, you might not need temperature controlled units. To be sure, ask one of our storage experts at our offices. At Storage in Abu Dhabi we do our best to provide the best customer service in all of Dubai. Contact us for more details.